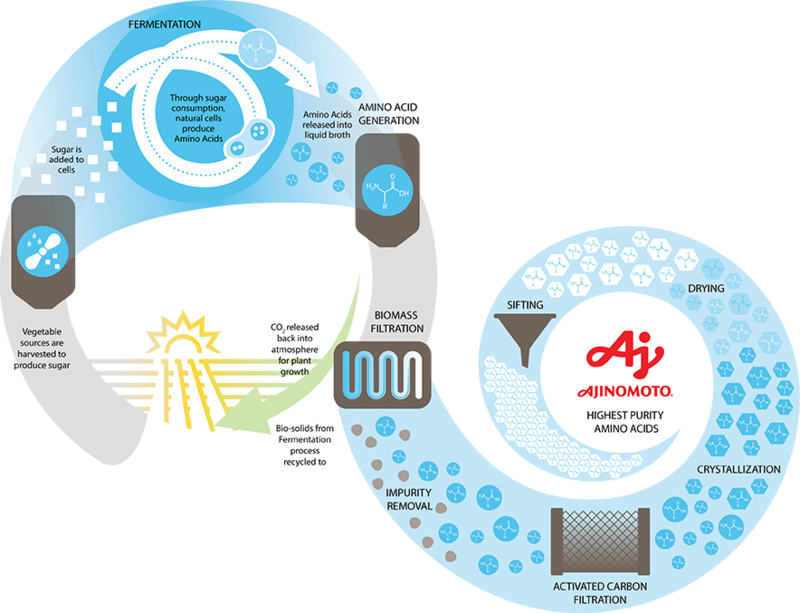 The Amino Sciences group in Belgium provides highly pure Ajinomoto Amino Acids for pharmaceuticals, medical food & nutraceuticals, food, and cosmetics & personal care applications to customers in the EMEA. Ajinomoto Amino Acids are produced to the highest quality standards under cGMP conditions with non-animal materials, allowing us to be registered by, compliant with or certified by: JP, USP, EP, DMF, JDMF, CEP, ICH, CFR and ISO. Our manufacturing locations, in the US, Japan, Brazil and China, use advanced fermentation manufacturing processes and patented production technologies, allowing us to provide the correct quality in the appropriate packaging sizes of our top-quality amino acids to meet your needs. In addition to amino acids, we also provide Ajinomoto Amino Acid-based emollients, humectants, surfactants, oil gelling agents and texture modifying products for the cosmetics and personal care industries. All products are mild, environmentally friendly, paraben & sulfate free, biodegradable, and safe to use. Our R&D teams are continuously developing new ingredients and products of the highest quality for use in personal care and cosmetics needs. Additionally, we can work with our global customers to meet their specific product needs.